I love disaster movies. Let me clarify that. I love a good disaster movie. There is something truly thrilling about surviving destruction, something reassuring. Films like Twister, The Wave, Titanic, even the classic Towering Inferno, play to our servivial senses. When they pair that with a well plotted story and interesting characters, they can be a thoroughly enjoyable cinematic experience. Unfortunately most disaster movies are just that, disasters. Skimping on plot and character to focus on special effects instead. Brought to us by the mind that brought us such disasters as the cheesy 90s Godzilla reboot and the cheap Independence Day sequel, Geostorm is all that is wrong with these modern day versions of B-movies, or should I say C-movies, or should I say D-movies? A corny script whose only sense of wit is to belittle intelligence ("we need workers, no suits" a character says making a grand show of playing to the Trump crowd) is barely stitched together to link the set pieces which is where the movie blows its whole load. I found it hard to muster much excitement during these scenes despite the film putting all its eggs in this particular basket, because the rest of the film was so empty. It's hard to get jazzed up about action sequences when you don't care. It turns out this film was originally going to be released in the spring of 2016 but was pushed back enough times that eventually it just got dumped. Even it's producers knew it was a disaster. Starring Gerard Butler and Jim Sturgess, two actors who really should have had better careers but instead make these sorts of films, Geostorm often feels like they aren't even trying. But it's not even campy enough to be enjoyable on that level. It's like the film isn't smart enough to know it's not very smart. It's filled with dumb plot twists and eye rolling moments. It is almost daring us not to think. But all that really does is make us think about how dumb it is. 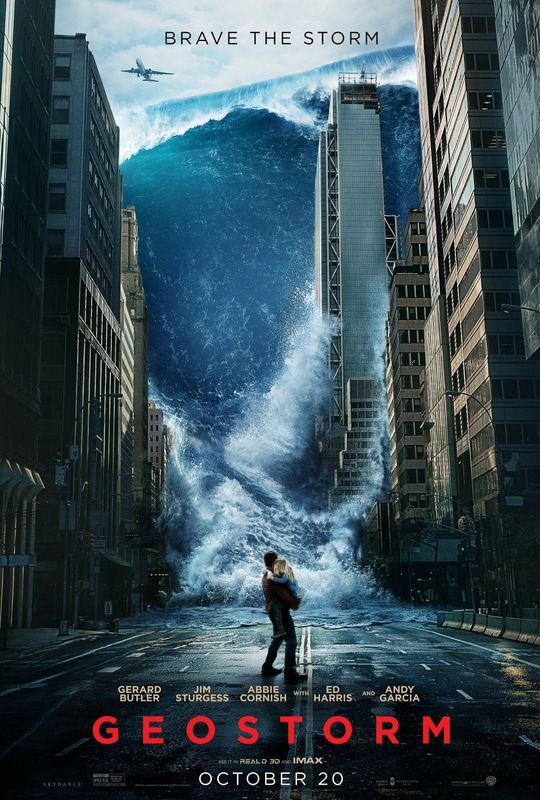 With an ending even too ridiculous for this ridiculous premise, Geostorm is simply nonsense and not even fun nonsense.I know it is not likely a surprise but Geostorm is not the global next level of disaster movie. It's just another cheap facsimile of what a true harrowing tale could be.